An arrest report from the Hillsborough County Sheriff's office said Foster was booked into jail at 11:11 p.m. Saturday and was being held on $2,000 bail. 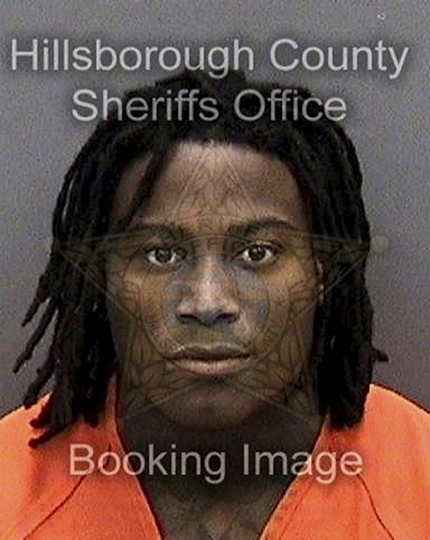 Foster was arrested by Tampa police at 9:10 p.m. at the Grand Hyatt hotel where the team was staying before playing the Tampa Bay Buccaneers. "He was really taking some very positive steps and maturing in a really nice fashion," general manager John Lynch told reporters before the game. "Unfortunately in life there's consequences for your actions. When you show bad judgment, particularly after something has been communicated very clearly what the expectations are, there are consequences." Foster will be placed on waivers officially on Monday. The other 31 teams will have an opportunity to claim him, although the NFL could place him on the commissioner's exempt list if he is signed. Spokesman Brian McCarthy said the league is reviewing the matter. The 24-year-old Foster was charged with one count of first-degree misdemeanor domestic violence. Tampa Police spokeswoman Janelle McGregor said a woman told police that Foster slapped her phone out of her hand, pushed her in the chest area and slapped her with an open hand on the left side of her face. McGregor said officers observed a 1-inch scratch on the accuser's left collarbone. Lynch said the incident didn't happen on the two secure floors of the hotel reserved for the team, saying players have the opportunity to rent rooms in other parts of the hotel for friends and family members. "That doesn't mean we don't love him," Lynch said. "We all do. We care for him. We feel it's in the best interest of our organization to move on at this point. That's a very tough decision. I want to be clear that this is organizational decision. Kyle and I talked last night. We brought it to ownership and we were all in lock step with the decision. It was not easy on anybody." "One of our tenets is protect the team and he didn't protect the team," Lynch said. "Nobody is bigger than the team. As talented a player as he was and as many positive steps he has making, we felt like this was the best decision to make."